Weight-loss supplements are the leading product in the supplement industry. There have never been as many weight loss supplements on the market as there are today – but which supplements really work? With easy access to unhealthy foods, less physical activity outdoors, and an on-the-go mentality, today’s society has never had such difficulty when it comes to shedding those pesky pounds. Our busy culture is always looking for convenient and quick ways to lose weight in the healthiest way possible. Among the top weight-loss supplements is Forskolin, a natural and proven supplement that is derived from the roots of plants in the mint family. As one of the market’s leading products, there has never been a greater demand. Both safe and verified to have rare and few side effects, Forskolin is an optimal weight-loss supplement option. Supplement manufacturing with BioThrive Sciences makes private label and contract products simple and deliverable to consumers. Forskolin has been reported to help individuals lose weight by burning calories, boosting metabolism, and breaking down fat cells to use as energy. This herbal supplement works by increasing levels of cyclic adenosine monophosphate (cAMP) in the body, resulting in both physical and mental benefits. While fat burning is a leading characteristic among the needs of audiences, marketing trends show a lack and want for all-in-one supplements. Forskolin offers just that. This supplement has additional benefits such as improving thyroid function, decreasing symptoms of depression, and improving pulmonary activity. These added characteristics make exercise easier and weight loss both safer and faster – combating obesity at the same time. Weight loss supplements with additional health supporting benefits provide your audience with an option that spans across multiple demographics. BioThrive Sciences offers custom label, design, and formulation from nutraceutical experts. Further, our marketing department is happy to provide advice or suggestions, so you may better reach your target audiences. Choose the look of your bottle and brand, and even select the form and makeup of your supplement. Your Forskolin weight-loss product will look professional, appealing, and modern. BioThrive Sciences is an industry leader in the production of supplements. 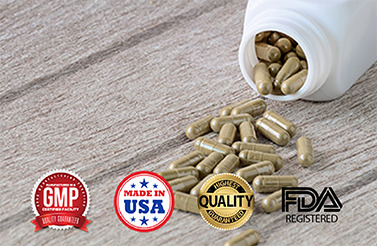 Our nutraceutical experts are eager to help you design and produce your own private label supplements for your brand’s clients and consumers. Partnering with BioThrive Sciences allows for full-service supplement manufacturing, and our clients enjoy the ability to plan, formulate, and create custom products that appeal to your clientele. BioThrive Sciences is ready and able to work with any order, big or small. BioThrive Sciences is also ready to help you design your own label, print, distribute, and market your supplements. Contact us today to learn more about our services. Call +1-844-263-3657.